June is recognized as Lesbian, Gay, Bisexual, and Transgender (LGBT) Pride Month in communities across the Nation. The commemoration of Pride Month is a public demonstration of our Nation’s commitment to the principles of inclusion, equality, and respect for all. In anticipation of the upcoming transfer season, the Office of Work-Life (CG-111) is providing information regarding the Special Needs Program. The Special Needs Program is a mandatory enrollment program for all active duty and selected reserve members on orders for 181 days or more who have dependent family members diagnosed with medical, psychological, physical, or educational special needs. 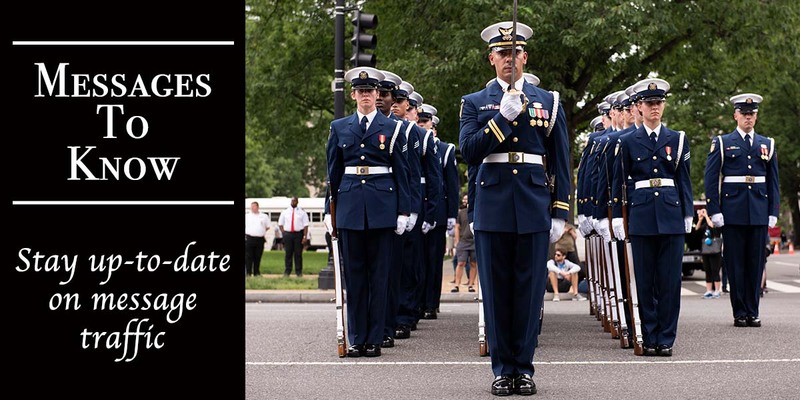 REF (A) authorizes the Coast Guard to repay certain types of federally insured student loans as a recruitment or retention incentive for highly qualified candidates or current employees. REF (B) requires the Coast Guard to build a Cyber Workforce and to create policies and opportunities for recruiting, training, and retaining this workforce. In honor of the contribution of Coast Guard personnel in support of rescue and recovery efforts following Hurricanes HARVEY, IRMA and MARIA, the Armed Forces Service Medal (AFSM) is authorized for Coast Guard military personnel who served in direct support between August 23, 2017 and March 31, 2018. IAW REF (A) and the criteria outlined in REF (B), Coast Guard members who directly participated for 30 consecutive days or 60 non-consecutive days within the District 5, 7, or 8 areas of responsibility, less the area and time detailed for receipt of the Humanitarian Service Medal (HSM) as authorized by REFs (C) and (D), are eligible to receive the AFSM. Personnel who received the HSM may later qualify for the AFSM; however, the dates and actions used to meet the requirements for the HSM will not be used to qualify the member for the AFSM.